The Mile-High City may have been nicknamed for its impressive elevation, but residents and visitors alike know there is another reason for the cheeky moniker. Colorado is one of three states to recently legalize the sale of recreational marijuana, along with Oregon and Washington. Not surprisingly, the desire to obtain Denver marijuana jobs in the state’s capital (and most populous city) has expanded greatly alongside legalization. Though entrenched in government mandates and regulation, cities like Denver are experiencing massive economic growth since allowing for recreational sale and personal use. How Do I Find Denver Marijuana Jobs? Securing a job in the marijuana industry may seem more daunting then applying to be, say, a barista or bartender as the laws surrounding the cannabis industry are complex and ever-changing. The first thing to do when considering finding Denver marijuana jobs is to be up to date on current regulations by visiting colorado.gov. In Colorado, recreational sale is legal statewide, however, the state also grants individual municipalities to discern whether or not they allow dispensaries in their city, county, etc. Since Denver allows for city-wide sales, it is drawing residents old and new to the area into the exciting marijuana business. Many people, though intrigued by the opportunities the industry offers, are unsure of the process of legally finding work in the cannabis field, or even what sort of jobs are out there, not to mention what they pay and what other benefits are provided. In ways, the marijuana field maintains similarities to other massive industries, in that it’s job opportunities are far-reaching and require the same attention in media and marketing, in order create fair competition between businesses. Essentially, the possibilities for Denver marijuana jobs not only involve typically associated careers like growing, trimming and budtending, but also advertising, photography, reviewing, and pretty much anything else involved with evolving and sustaining a successful business. With that said, I’ve compiled a list of relevant skills for working in the marijuana industry after interacting directly with dispensary owners, managers and other industry professionals. Firstly, for those who do have experience in farming or budtending medical marijuana, this is obviously an asset in terms of direct experience. However, having a passion for cannabis and an extensive knowledge, without experience in the field is also valid. If you feel like you may not have enough experience to apply to a hands-on position in this field, don’t be discouraged. Coming up, I will talk more about the important qualities employers are looking for apart from direct cannabis experience. With that said, I would strongly recommend familiarizing yourself at very least with different cannabis products and lingo, so you’re not walking into an interview feeling insecure. Having this knowledge will only make finding a Denver marijuana jobs more possible. As the stigma surrounding cannabis continues to subside (slowly, but surely) opportunities for education and job training in marijuana are cropping up. Organizations like THC University are providing courses in areas like Cultivation, Dispensary work and Production. Feel free to visit their website and research others to learn how you can gain experience and knowledge that will help your resumé shine. As I mentioned above, not having direct experience in cannabis does not immediately take you out of the running of being a competitive applicant in the industry. There are plenty of skills and levels of experience in alternative careers and fields of study that are integral to making this business work. Marijuana growers, for instance, have arguably one of the most important jobs in the industry. How can you distribute and use cannabis products if no one is there to grow them? Many of the country’s most successful growers have years of experience in the field and work tirelessly to cultivate a successful crop. The job is tough and requires a skilled hand. If you are an educated in or have experience with horticulture and botany, these are incredible assets to your goal of being a marijuana farmer. Though experience working with the crop directly is invaluable, having an extensive knowledge of farming and sciences associated with the job will help to separate a qualified applicant from an unqualified one. When it comes to recreational sales, it’s important to remember that these jobs are in essence customer service positions. With this in mind, having experience in direct customer service, cash handling and reception, as well as proficiency in using a variety of POS systems helps to make your application more attractive than those without any of these skills. As a budtender or receptionist, it is absolutely essential that you are able to interact in a professional and courteous manner with customers and co-workers. It is becoming much harder to pinpoint a singular demographic of dispensary customers since recreational cannabis became legal, so a dispensary worker must be able to kindly educate and suggest product to well seasoned and novice cannabis users, alike. 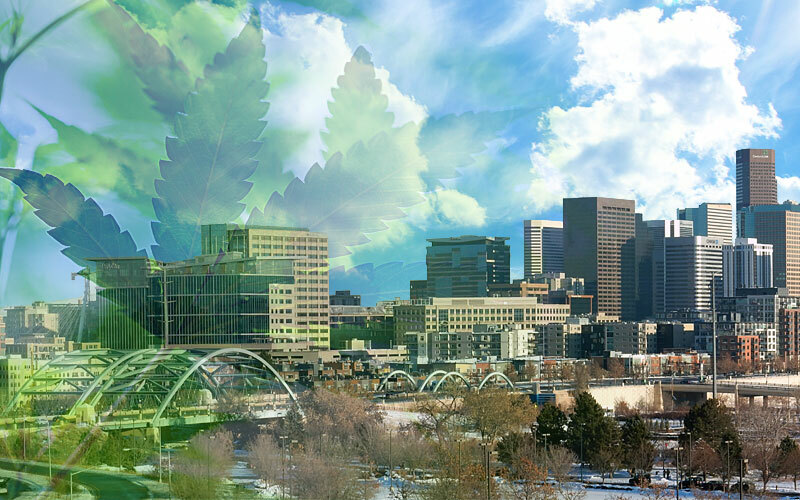 Here are some more tips to help you land a marijuana dispensary job in Denver. If you’ve read the information above and feel like you still don’t have enough work experience or training to successfully find Denver marijuana jobs, all is certainly not lost! The beauty of this business is that there are many ways to become involved, it just takes some thinking outside of the box. Everyone in the workforce has some sort of skillset, and it pays to figure out what yours is! If you are a photographer, illustrator, or graphic designer, there are opportunities out there for you! The same can be said about candidates experienced in marketing and social media. Farms and dispensaries require people with these skills in order to make their business attractive, and to spread the word. Jobs in writing, editing and other forms of media are capitalizing on cannabis culture as well. Successful print and online publications have helped to uplift cannabis to a place aficionados research, discuss and consume the product as though it’s a fine wine. Becoming a marijuana reviewer is a new career that for many seems like a dream job. While there are few positions out there for well paid, professional marijuana reviewing positions, it just goes to show that there are unlimited avenues for pursuing a job in the industry. To offer some logistical information regarding working directly with cannabis products in the marijuana industry, here is a potential example of a situation you may encounter. Say you’ve done your research on all of the Denver marijuana jobs, you’ve applied and interviewed at a dispensary, and you’ve been selected to join the team as a budtender. You’re excited and nervous to start and want to make sure you jump through all the necessary hoops to legally work and earn! In Colorado, it is required to receive a MED Occupational License if you work anywhere that distributes cannabis products. There are two separate licenses available to apply for depending on what kind of position you have. According to colorado.gov, If you are what is referred to as a “Key Employee” it means that you maintain an important role in the business and its operations, however you are not the owner of the business, nor do you have any interest in the business. This applies to positions such as a dispensary manager or master grower. As a key employee, you are required to obtain a Key Employee MED license. A “Support Employee” on the other hand, is an employee who works for a business, but doesn’t have any major management responsibilities. This includes working as a budtender or receptionist. Most workers will have to apply for a Support Employee MED license, which costs significantly less than that of a Key Employee. Both licenses are good for two years from the date of issue. First time applicants for MED licenses must visit a MED office to apply in order to have your photo and fingerprints taken, among other legal procedures. After finishing this process, you are now legally able to work! I hope you feel after reading this article that you have an introduction to the resources necessary to become an equipped applicant for Denver marijuana jobs. The city has a lot to offer with some of the best and brightest in the industry concentrated in this beautiful city. As business continues to grow and more opportunities become available, it will become ever more important to use your personal skillset to acquire the job you desire in marijuana employment!